In 1968 a young woman, Joanna Bull, was spending a few months in Woodstock, NY. A guest of Bob Dylan�s manager, she hung out with Bob and the Band, listened to great music and looked for a clear path amid the big party. While living on the compound (built in 1812), Joanna saw a ghost. Intrigued, she made a trip to the bookstore, where she discovered Alan Watts� The Spirit of Zen. Though my letter to Roshi had gone astray and he was distracted when we met, I was there to sit and that�s what I did, in Berkeley and in San Francisco. In those days, three or four months of sitting got you to Tassajara. On an icy February night, 1969, navigating the Jamestown road at our peril, we were greeted on arrival by caring students with hot soup and warm bread. The next day, Issan (Tommy Dorsey) asked me why I was there. �Seeking enlightenment, of course,� I told him. Issan had a good laugh and told me I�d get over that one soon enough. He was right. But I was home. Sitting with Roshi and receiving his teachings was divine, blissful. Interviews were a profound privilege. Tatsugami Roshi, who stood in for Suzuki Roshi some portion of the time, was hell. Thus I learned what I later saw as no hope and no fear, just sitting. Experiences that I learned to drop on the spot. Study. Practice. Work. Friends and the usual obstacles to friendship, but I followed the practice without much difficulty and stayed for about a year and a half. No wish to be a monk, I was determined to continue to sit and find another master for guidance. After Suzuki Roshi�s death I sat for 10 years daily, and continued studies, but found no heart connection with another Zen master. One day, Sogyal Rinpoche, a Tibetan master who revered Roshi, was teaching on Suzuki Roshi in Los Angeles, and that was close enough. A connection between Dzogchen and shikantaza made the transition easy enough, although the shift in masters was the difference between gently falling snow and something of a thunderstorm, at first. Now I have a shrine room that is filled with Tibetan images�and pictures of Suzuki Roshi. I have been a dedicated student of what the Buddha taught for many years and have chosen a path of social action rather than monastic life. As the founder of Gilda�s Club Worldwide, I created free social and emotional cancer support that builds mutual respect and community for anyone touched by cancer; with a recent merger, it�s now the largest psycho-oncology staff in the world, with many homey �clubhouses� for gathering. 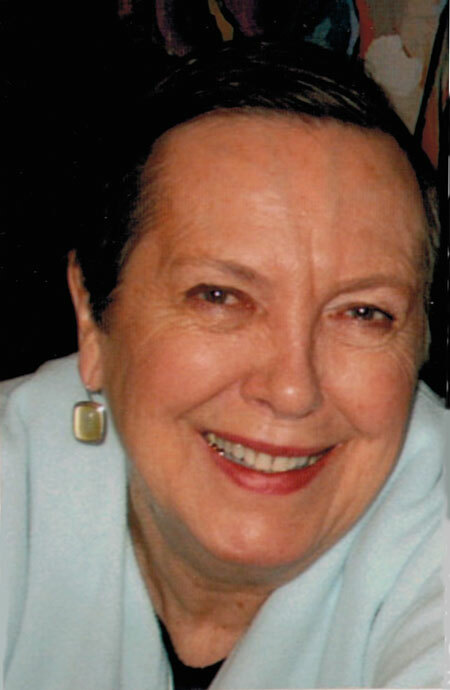 Pamela Bloom�s book Compassion in Action lets the cat out of the bag: Gilda�s Club is based on some fundamental Buddhist principles. Getting beyond the self, caring about others, sharing an environment of conscious attention to word and deed, whatever the circumstances, in community. I bring this to my tiny village in upstate New York with a Gilda�s Club piece called Team Convene. No matter the difficulty, we gather to put together a support plan for any neighbor in any kind of need, living or dying. I have sung about Jesus in the village choir many times, and shivered my timbers. But studying Dogen Zenji, sometimes chanting the Heart Sutra in Japanese, keeping my membership alive at Zen Center in San Francisco, seeing Suzuki Roshi�s photographs sitting with me�these keep my small room and the zendo in Tassajara still alive, with Tassajara Creek now called Ten Mile Creek, coursing across the street from my home, more than 45 years later. Gratitude. Zen in America is still very young. In a little over 50 years, San Francisco Zen Center has branched into 16 other states, has trained 167 teachers, and is currently training 61 priests who will continue to carry the light of the Dharma to practice centers throughout the world. It is our vow to honor our founder Suzuki Roshi’s legacy by continuing to train Zen priests and lay practitioners for at least the next 500 years. Please help us preserve our teachings and our temples, which offer refuge to thousands of visitors every year and are cultural institutions�landmarks�as the history of Zen continues to unfold. Please become a sustaining member of the San Francisco Zen Center community today. 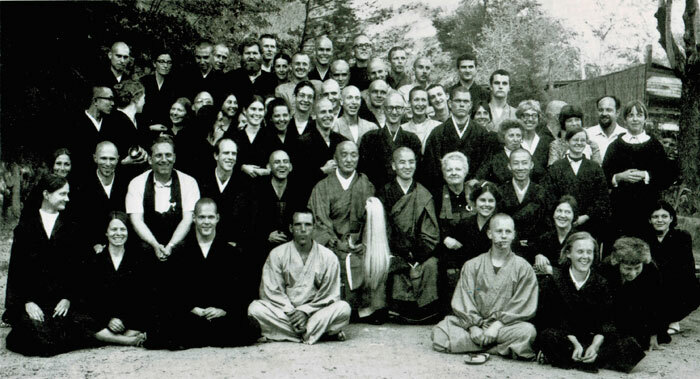 Practice period group at Tassajara with Tatsugami Roshi (center) and Joanna Bull (furthest right, standing).